Thanks for your reply. I didn't realize Shield of the Oversoul was so redundant, as I thought it gave lifelink, not flying. 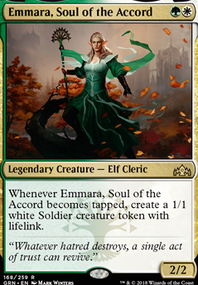 Lifegain is a major theme of my deck, as my Angels can get lifelink from Lyra Dawnbringer, which is why I have a few payoff cards. 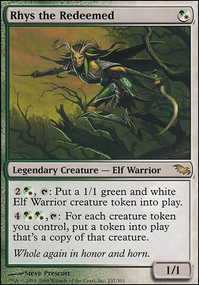 You are right about Oath of Nissa, and while I have known about Sylvan Library for a long time, this is the first time I have seen Mirri's Guile. I'll definitely make the switch. Zendikar Resurgent might be good, so I'll see if it will be good in playtesting once my deck is down to 100 cards. As for your anthems suggestion, I will take out some of them, but I still want 1 or 2 to see how they go. Hey, nice beginner Angel Commander deck. I saw your topic in the Commander Help Forum. The cards I'll suggest you cut to make 100 cards are fine cards, but they're not as good as other cards already here. When you get down to the last remaining cards to cut from a Commander deck it's hard, have to make some tough choices, some good cards will be cut. I'll start with the least good Angels and anthems. Lots of anthem effects that only pump Angels are less needed because Angels already have high power as well as flying. Pumping them with anthems isn't doing much. Lyra is the exception because she's an Angel and her anthem effect gives Angels lifelink which is very good for the strategy here. Skirmisher is another exception, she's also an Angel and can also give Angels lifelink. I have other suggestions if you're interested. Would you like more suggestions? Hungering Hydra and Merfolk Branchwalker seem somewhat questionable in the deck, with a deck like this i would be looking at Carnage Tyrant and Prepare. The Tyrant is brilliant against the Blue white decks, along with being hexproof and trampling. Hey, looks great, one of the best Standard Cat decks I have seen on TappedOut, nice work. Like the additions of Mentor and Destiny. I think mono white is the way to go. Selesnya doesn't give you enough to warrant a much worse manabase. Blossoming Defense is the only reason I would play green, but it requires Forests in the manabase. Pride Sovereign is the another reason to play green, but I think both Mentor and Destiny are better three drops here. Destiny an early game anthem to fight Chainwhirler and Mentor for draw. Consider Prepare? It's an instant combat trick that gives the creature lifelink, nice with Pridemate. Having a trick is helpful when facing Goblin Chainwhirler since he brick walls with first strike the entire attacking Cats strategy until you have removal, Warleader or a big enough Pridemate to break through. You can cast Prepare without having to also cast Fight. Fight can just stay in the graveyard until you want to use it. Splash 4x Sunpetal Grove for Fight if you want to, but it's honestly not even needed. Another option that's only white is Moment of Triumph. Instant, only one mana and you gain 2 life. 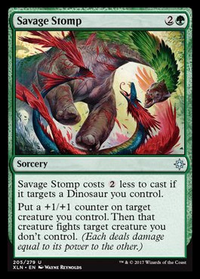 More likely to gain life with Triumph because the creature doesn't have to do damage in combat like with Prepare, but Prepare can gain a ton more life than Triumph if the creature gets to do damage. 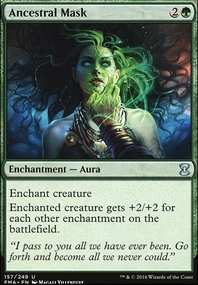 One mana makes Triumph more consistent to save a creature from Chainwhirler's ETB ability before you can get Destiny into play. It's much easier to leave up one mana for a trick than two. Leonin Vanguard is very lackluster even with Pridemate I suggest cutting one or more for at least a fourth Warleader and a third Mentor. I would suggest to add another Ajani, but because of budget that's probably not an option. Pridmate, Warleader and Mentor is a three creature army, draw engine, life engine. Each Cat that ETB when Warleader attacks you can pay one mana to draw a card as well as gain life in combat which pumps Pridemate. These three creatures and Destiny is the direction I think you should go. They curve into each other and having a Warleader and Mentor in play makes it okay to attack with a Warleader even if it's going to die. Warleader is still making two Cats which you can pay mana to draw two cards because of Mentor. For the sideboard consider Ajani Unyielding? This Ajani is very underrated. His +2 ability is very good with Cats because it allows to reveal any number of them as well as Destiny, Mentor, Cast Out, Seal Away, other Ajani in the top three cards and put them into your hand. He's also repeatable exile creature removal, that's very helpful. Knight of the White Orchid is a bit tricky - it's an ok card, mostly, but not when you are on the play and hit your lands. But if you use Ghost Quarter it gets pretty good, since ghost quarter leaves you down a land, compared to your opponent. Also, 2/2 first strike can be randomly relevant. I've tried playing it turn 2 on the draw a few times, and that is pretty convincing against fair decks - suddenly you are ahead on mana, without having really spent a card on it. Also worth noting: Your land comes into play untapped. What is it you don't like about it being an ETB-effect? Since you have Time of Need in your deck, more legendary angels instead of serra angel could be a way to go. Archangel Avacyn Flip, Avacyn, Angel of Hope, Bruna, the Fading Light + Gisela, the Broken Blade , Linvala, Keeper of Silence, and Sigarda, Host of Herons, are all decent legendary angels, and bringing them as one-offs is ok, as long as you have tutors for them. I would exchange Prepare for Path to Exile. It's a bit of a dull card in comparison, since it's played by everyone and their mother, but that is because of efficiency. One mana to get rid of a creature is ridiculous, even if your opponent gets a basic land. Of course the land is relevant in the earliest turns of the game. But from turn 3 and on, I don't think anyone plays creatures they would like to exchange for basic lands. So... try with a 2/2 split. Aerial Responder... hmmm... what is important? Lifegain? flying? that it's a creature? that it's a 3-drop? There are all kinds of good 3-drops in modern, depending on budget. Eternal Witness, Kitchen Finks, Renegade Rallier, Mirran Crusader, Blade Splicer... it really depends on what you want. Or you could go down a mana on ccm, for something like Scavenging Ooze or Qasali Pridemage. Or you could go a mana up, and add a couple of token-producing planeswalkers (since they do pretty much the same as Oketra's Monument they benefit from the same cards as the rest of the token-plan) - it could be Gideon, Ally of Zendikar or Elspeth, Knight-Errant. I suggested Seraph Sanctuary because it's on-theme for your deck, not because it's particularly good in any way. Thanks for your response. No offense taken. On Citadel Castellan, I have replaced her with another Thalia. For more mana, I’ve ordered 4 Temple Gardens and 4 Sunpetal Groves. I wholeheartedly agree with your suggestion on 24 lands, so I’ll take out the Paladin to make it 60. I’m not a big fan of The Knight, as it is only a ETB effect. On Prepare, how many do you think I should run? What should I put in for it? What do you think I should replace Responder with? I can’t find a full replacement for Serra Angel, but I have got a Shadows Sigarda for one. I’ll try playing Seraph Sanctuary, but I’m not sure that Colourless mana will work. I’ll try it with the dual lands when I get them. Very casual. Much random one-off. Such underpowered. wow. Sry. Seems sarcastic, but you have a pile of cards that could be, well... better. Probably even without having to participate in anything criminal in order to pay for their replacements. Accorder Paladin and Glorious Anthem are both great for decks with a lot of low-powered attackers. I assume that they are supposed to go with the tokens from Oketra's Monument. Problem is that you have so few of them. And oketras monument... hmmm... wouldn't that be better in a deck with a lot of very cheap creatures? So instead of 4 Serra Angel, you'd have something a lot cheaper, and maybe with some built-in card draw (to make a bunch of tokens fast, by enabling you to keep casting creatures, and to dig for the monuments). Anyway, if you wanted to buff the whole team, Honor of the Pure is easier on your mana, and doesn't compete with oketra monument for the 3-cmc slot. Path of Bravery is supposed to go with this stategy too, I guess, but is a really bad card. It's expensive, and only helps you if you are already ahead. Drawing it after a burn deck has hit you for 8 or 10 life in turn 2, it does nothing for you. Serra Angel... the most brutally efficient beatstick in magic in the summer of 1997, and winner of the Miss Angel 1994, 1995, 1996. Since then, younger models have surpassed her, and today 5-cmc creatures in modern has to be strong enough to more or less just win a game on their own. If you went with the Oketra's Monument-plan, a replacement angel could be Angel of Jubilation. She's pretty good with tokens, and randomly hates fetchlands, but is unfortunately only toughness 3, so Lightning Bolts are a problem. Not so much of a problem, if you played 4 anthem-like effects (more like 4 Honor of the Pure, but that's the same). Anyway, Archangel Avacyn Flip has the same ccm as Serra Angel, but you get a lot more angel for your mana. And a low-end table-sweeper on top of that. Or maybe Baneslayer Angel? Same cost, bigger body, nice abilities, although protection against demons and dragons are a bit random. Why is there a single Citadel Castellan in this list? It doesn't really fit with anything else... Probably a decent creature in a GW Little Kid-type deck on a budget, but here it just takes up space. Prepare is funny, and all that. Aftermath is an interesting mechanic, that doesn't look like flashback at all, no sir, not in any way. But 4 Prepare seems like overkill - it's not the kind of card you want to draw more than one of on your opening hand. And stuffing 4 Prepare in your deck before having added any Path to Exile is most likely a mistake - as removal, Fight costs 4 mana and relies on you having the biggest creature in play already, whereas path is path; 1 mana: "go away, troublesome critter, oh, and here's a basic land as compensation". Not really great on turns 1 and 2, but then, you can't even play Fight that early. You have too little land. There should be at least 24 (even counting your mana dudes), since you try to curve directly to 5 or 6 mana. Since you have plenty of colored sources, you could add either Ghost Quarters or Field of Ruins until it fits. They're both useful for mana and to give you some game against tron (otherwise, tron will just run you over, even in its budget incarnations with cheap threats). Knight of the White Orchid is pretty funny with Ghost Quarter, or against ramp decks. You could also exchange some lands for GW-duals in some form or another - Canopy Vista, Sunpetal Grove, Fortified Village, Brushland... many options, for any budget. The important bit is that it should be possible to play them untapped, even if a bit conditional - except for Stirring Wildwood, since manlands are good anyway (even if it doesn't really hit the theme of this particular deck). Multicolored lands will smoothen your play a lot. You could also play Seraph Sanctuary, since lifegain and angels are pretty fitting for the concept. Aerial Responder may be ok in a casual meta. 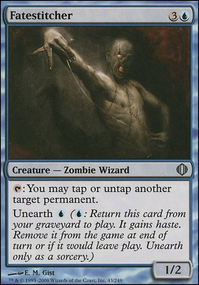 Elsewhere (somewhere with a meta of what we could call "the more solid class of budget decks" or somewhere with tier-decks), it's a 3 mana creature with its @ss in Lightning Bolt-range... and that's not really good in any way. You tap out turn 3 to play it, and your opponent bolts it and plays a 2 mana creature on his turn. That's loss of initiative, right there. 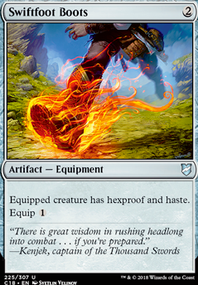 Sideboard: If you know what you are playing against, bring something for that. If not, just go with the "usual suspects": Creeping Corrosion, Nature's Claim, Rest in Piece, Dryad Militant, Leyline of Sanctity, Aegis of the Gods, Ghostly Prison, Stony Silence, Day of Judgment, Blessed Alliance... it really depends on what you expect to meet and what your budget is. Overall, I think you could go heavier into angels, or into oketras monument (and other tokens), but currently you have a mix of strategies that aren't particularly good.